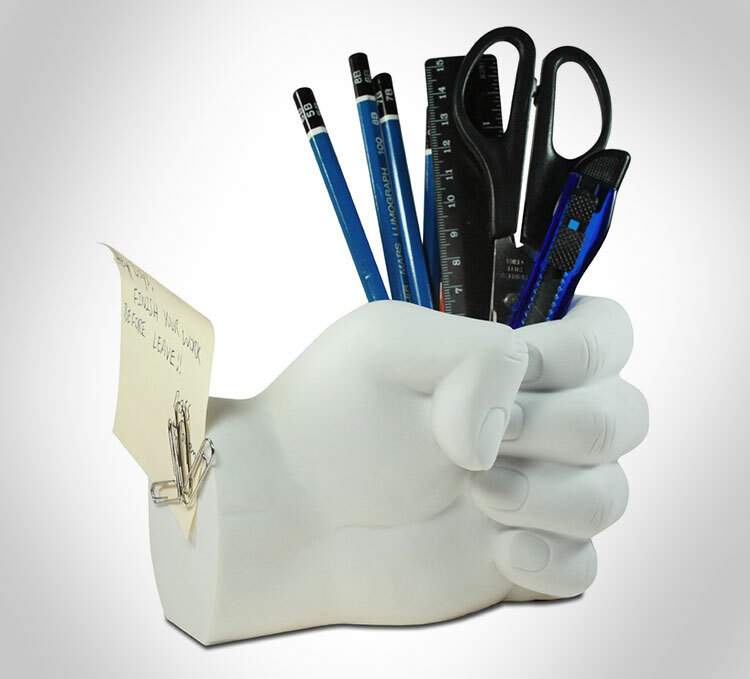 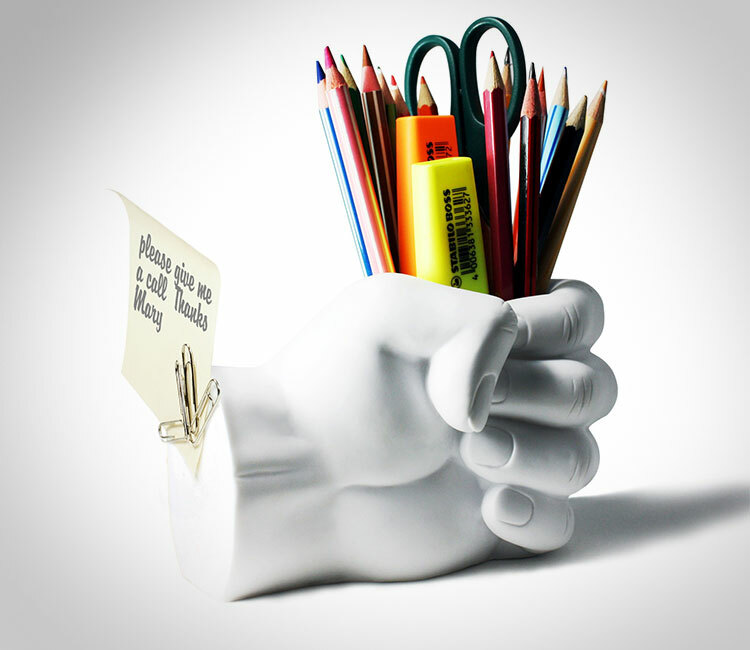 The fist pen holder is a giant hand that is shaped into a fist that can hold your pens, and if you're weird enough I suppose you could probably drink coffee out of it, plus it has a magnetic side where the arm was cut off to hold your paper clips or other small metal pieces you would like to keep organized. 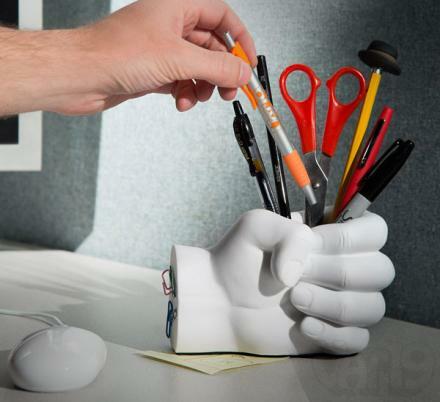 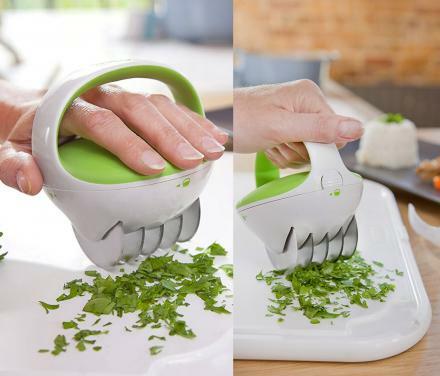 Perfect for holding pens, scissors, markers, used as a paper weight, used as a pot to grow a small plant, or just to set on your desk and become that creep at work that has a giant fist on his desk. 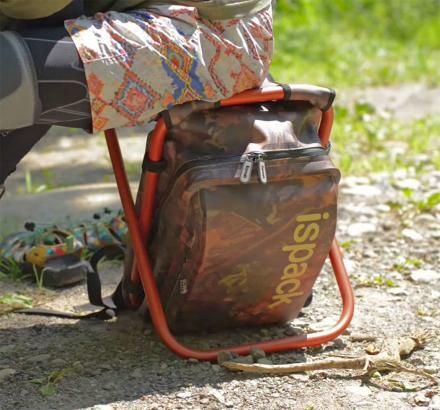 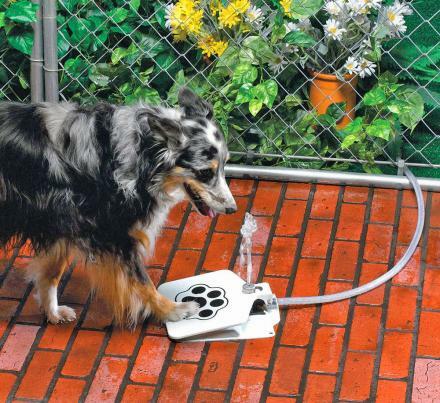 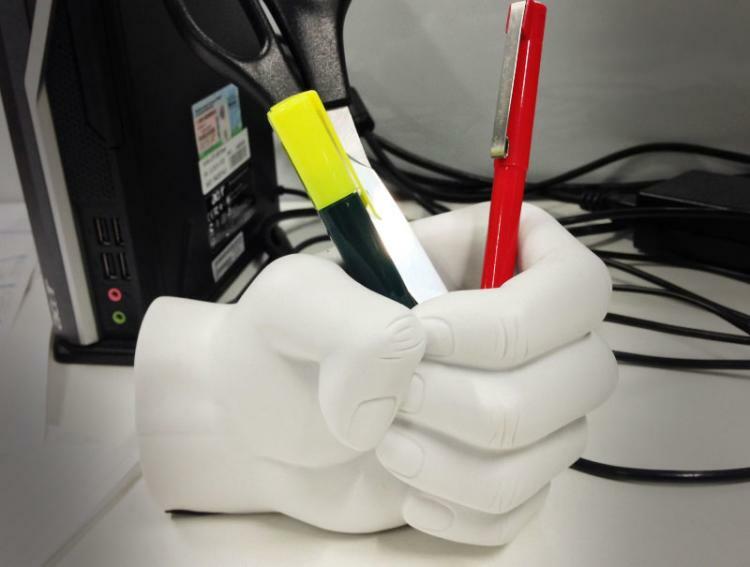 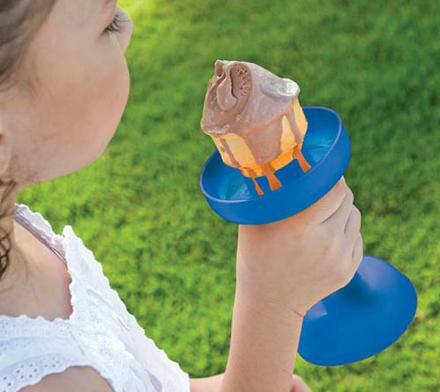 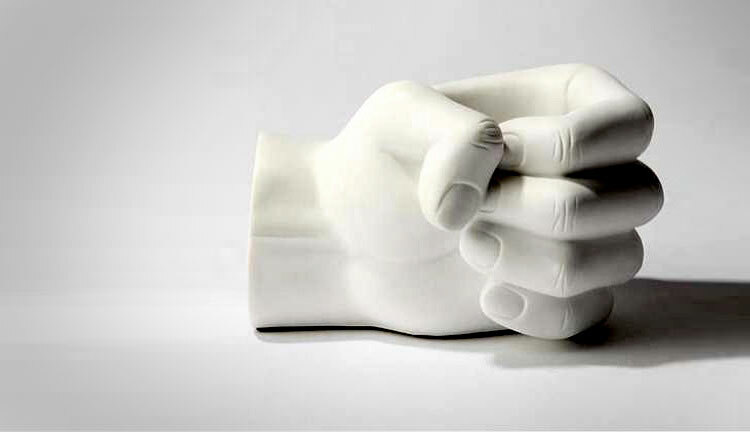 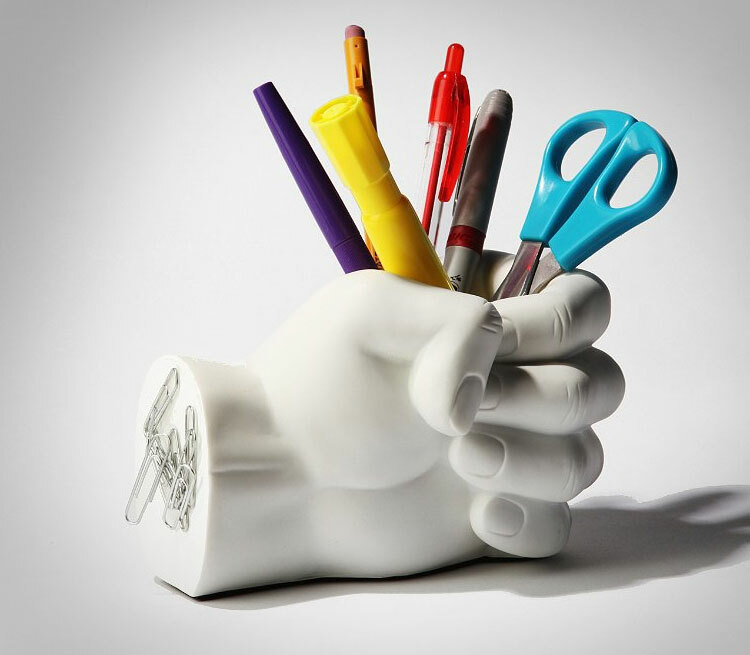 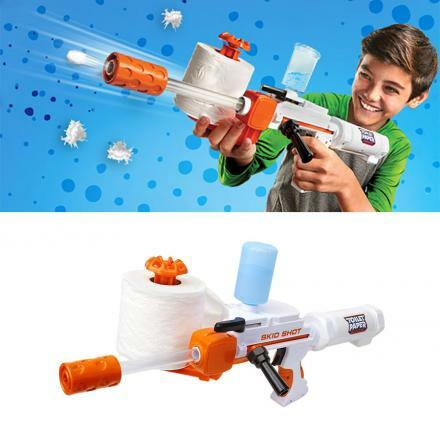 The Fist pen holder is made from cement with PVC coating, weighs 2.8 pounds, is white in color, and measures 6 inches wide x 4 inches tall x 4 inches deep.